A Birthday cake for a couples joint 50th. Lisa’s half features lisa, sitting on a bed getting ready for a night out, with a mirror, hair straighteners and hairspray near by. the tier below has icing toppers of different makeup and nail polish. The whole half is decorated around the edges with gold glitter! Very glam! 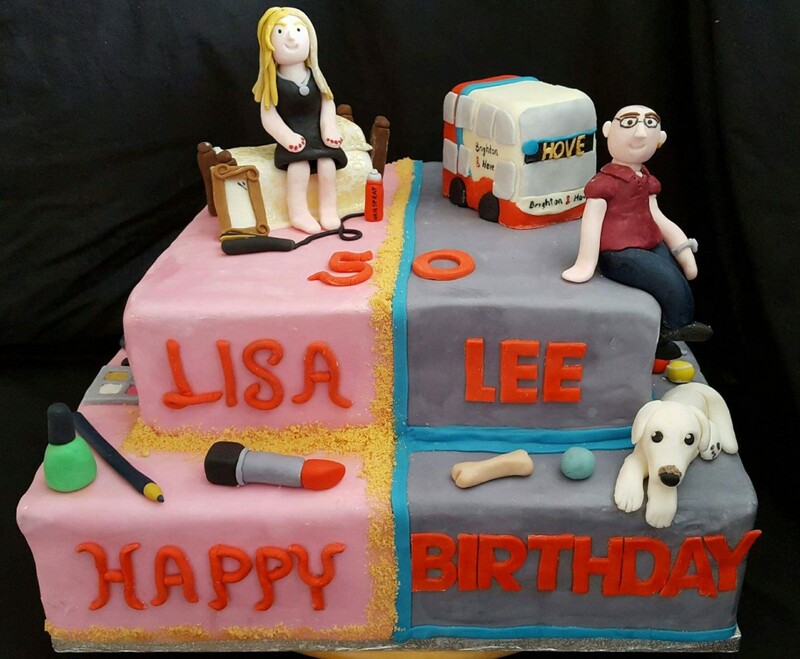 Lee’s have is decorated with a Brighton bus, Lee sitting on the edge and the tier below with icing toppers of Lee’s dog and various dog toys and accessories. Blue icing decorates the edges. The birthday message is divided over both halves of the same cake!